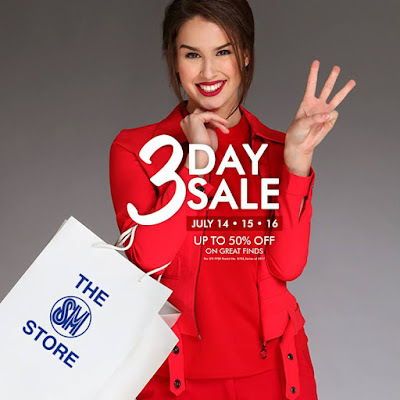 Get ready for The SM Stores' 3-Day SALE happening from July 14-16, 2017 at The SM Store North EDSA, Sucat, San Pablo, Rosario, Cebu, and Lanang Premier! Plus, enjoy BDO rebates,and a chance to win a Samsung TV from Globe and exclusive SMAC offers. 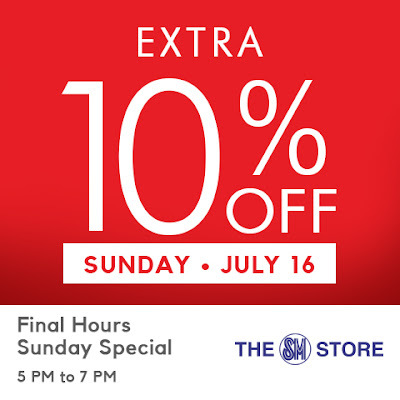 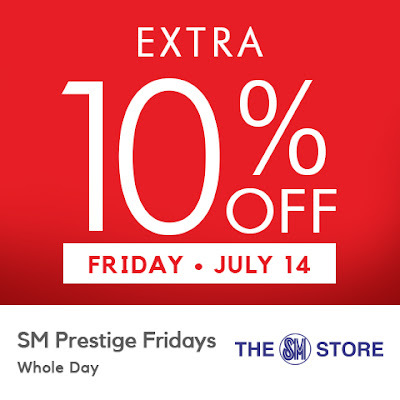 SM Advantage, SM Prestige, BDO Rewards, MOM, Primo, SSI, and Love Your Body cardholders get extra 10% OFF during the Final Hours Special on Sunday, July 16, 2017, from 5pm to 7pm!